The subject of analytics and advanced statistics in the NHL is growing more and more important every year. New information is discovered and more accurate analysis seems to appear regularly. With these tools that further help us understand how a player performs and tools that help us have a clearer look into the future, why not use them to gain an edge in fantasy hockey? Now most everyone knows who the top picks in your fantasy draft will be. The Sidney Crosbys, Jamie Benns and Carey Prices are easily slotted in near the top of the draft without so much as a look at analytics. However, as the draft gets deeper, you may want to consider looking into some statistics in order to give yourself an advantage while selecting sleepers and late-round picks. These statistics can also help you avoid making an early-round mistake (hey there David Clarkson). Did that player shoot an abnormally low shooting-% compared to their career average? How was that player used? Did they receive a lot of defensive zone starts? Could a coaching change potentially make that different this year? Similarly, was that player afforded power-play time? Could that be increased in the upcoming season? Who did that player spend most of his ice-time with? Were any free agents signed or trades made that could improve the quality of his line-mates? How good is that player at moving the needle in terms of possession metrics? Did they spend a lot of their time in the offensive zone but simply couldn’t finish? 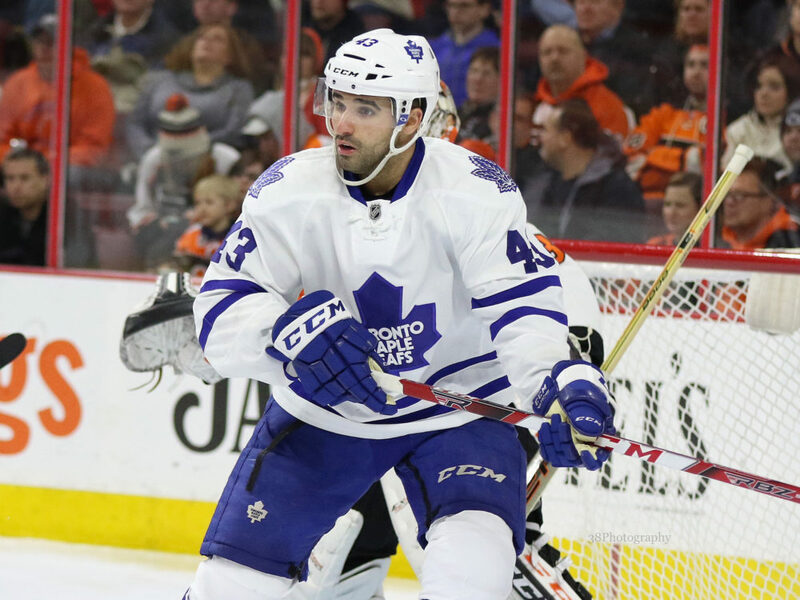 A popular name that continues to come up is Nazem Kadri, a player who is involved a lot in the above criteria. Yes, Kadri was Toronto’s leading scorer last year. No, that doesn’t mean much. He scored 45 points in 76 games, a respectable number but not one that is grabbing many fantasy championships. Kadri has been a positive relative-Corsi player every year in Toronto (according to Corsica.Hockey). He was good in that regard once again last season, despite playing with a rotating cast of players. His most common linemates were James van Riemsdyk and Leo Komarov but that only made up for about 25% of Kadri’s ice time. He saw a myriad of different players line up on either side of him throughout the season and aside from van Riemsdyk, he didn’t see a lot of time with high-end offensive talent. That should change this season. Who knows what Mike Babcock will do with the lineup, but you would have to think that Kadri should see more time with offensive players. Auston Matthews and William Nylander will be full-time NHLers and Mitch Marner has the opportunity to crack the lineup as well. If van Riemsdyk can stay healthy, that will be a good group of offensive players that Kadri should be playing with. Kadri also posted a career low 5-on-5 shooting-% of 5.72. His career average falls around 9.45. While there are certainly no guarantees in the sport of hockey, his shooting-% will likely trend upwards this season. Players like Kadri, Radim Vrbata and Evander Kane will all be interesting to look at. All of them posted low shooting percentages last season and should have a top-six role on their respective teams. There are plenty of other players to consider in regards to this information and the above criteria should help you identify some good breakout candidates. As far as players to avoid, simply look for the opposite of what I have mentioned above. Players with abnormally high shooting percentages compared to the rest of their career are excellent regression candidates. Players like Mikkel Boedker who were heavily sheltered in the offensive zone or played up the line-up in hopes of getting greater trade value are ones to avoid. Just ask yourself some of the simple questions listed above and it could make a massive difference come draft time.